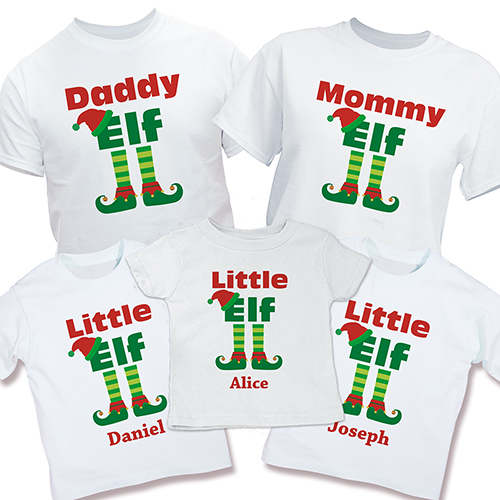 Your whole family can be dressed in personalized style these charming Personalized Elf Family T-shirts. We'll custom personalize your Matching Family Christmas Shirts with any title (like Mommy, Sister, Baby or whatever you choose) above the exclusive Elf design with any name below for a personalized touch you can call your own. A must for all family members this Season! Makes the perfect family photo for opening presents Christmas morning. Love them, we wore them for our Christmas photos! They were a big hit and awesome price!